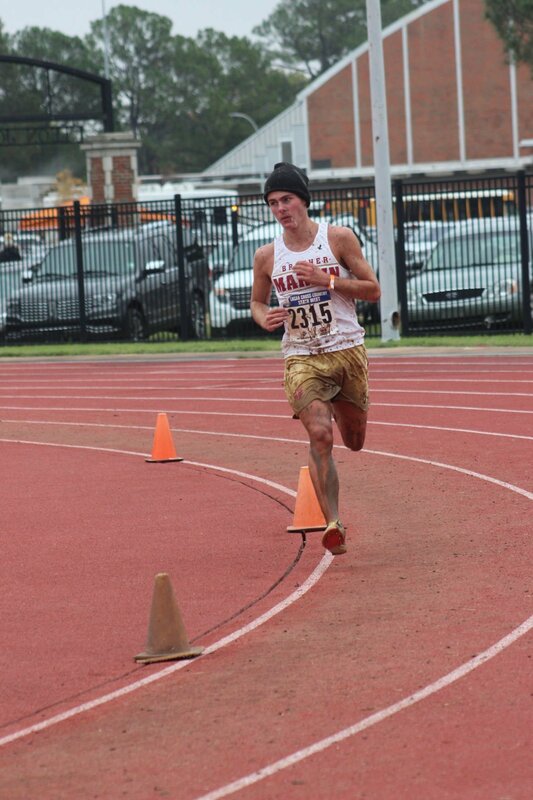 Brother Martin's Hunter Appleton won the Class 5A boys state cross country championship on Tuesday in Natchitoches. 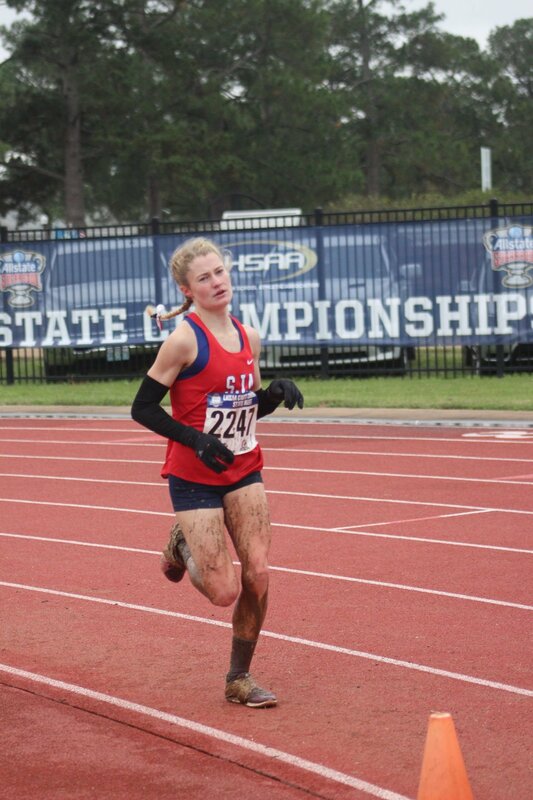 St. Joseph's Academy's Isabelle Brown won the girls Class 5A state cross country championship with a time of 21 minutes, 22 seconds on Tuesday in Natchitoches. Note: The three-mile course that starts flat for two miles, with a hill around the 2.5-mile mark. The course is run on grass, finishing on the track at the Walter P. Ledet Track Complex at Northwestern State University in Natchitoches. Team results:1. Sacred Heart, New Oreland 26; 2. University Lab 67; 3. Lusher Charter 74; 4. Erath 197; 5. St. Louis 221; 6. Sterlington 222; 7. St. Charles 247; 8. Loyola Prep 249; 9. Jewel Sumner 253; 10. Iowa 299; 11. Kaplan 301; 12. Hannan 302; 13. West Feliciana 304; 14. Ursuline 312; 15. South Beauregard 372; 16. Haynes 421; 17. Pine Prairie 433; 18. Jena 524; 19. Bolton 539. Individual Top 10: 1. Ivan Appleton, St. Louis, 18:43.6; 2. Patton Sims, Sterlington 19:19.4; 3. Wyatt Barbe, West Feliciana, 19:21.1; 4. Blaze Bright, Erath, 19:42.4; 5. Jack Moran, University Lab, 19:48.8; 6. Yves Uwanama, Haynes Academy, 19:55.9; 7. Joel Allen, Erath, 19:59.2; 8. Emery Godke, West Feliciana, 20:16.0; 9. Daniel Lee, University Lab, 20:17.6; 10. Alex Myers, Iowa, 20:17.7. Team results: 1. Erath 67; 2. University Lab 87; 3. West Feliciana 112; 4. St. Louis 145; 5. Lusher Charter 146; 6. Haynes 167; 7. David Thibodaux 208; 8. Sterlington 235; 9. Iowa 253; 10. De La Salle 276; 11. Pine Prairie 289; 12. Jewel Sumer 307; 13. St. Charles 340; 14. South Beauregard 437; 15. Berwick 445; 16. Loyola Prep 459; 17. Abbeville 461; 18. Port Barre 498; 19. Archbishop Hannan 501; 20. Jena 567; 21. Cohen College Prep 586; 22. Kaplan 592; 23. Thomas Jefferson 600; 24. Bogalusa 620; 25. Mamou 688. Individual Top 10: 1. Lexi Guidry, Teurlings Catholic, 22:08.6; 2. Brynn Kelso, Vandebilt Catholic, 22:45.2; 3. Hailey Humphries, St. Michael, 23:11.1; 4. Leanna Teuton, Vandebilt Catholic, 23:17.5; 5. Caroline Lindsay, Vandebilt Catholic, 23:26.6; 6. Caitie Brumfield, St. Michael, 23:35.1; 7. Madisyn Acosta, Cabrini, 23:39.0; 8. Callie Hardy, Parkview Baptist, 23:41.3; 9. Caitlin Booker, Westgate, 23:42.1; 10. Rebecca Quebedeaux, St. Michael, 23:43.6. Individual Top 10: 1. Louden Boudreaux, Belle Chasse, 18:40.0; 2. Cameron Angelle, Carencro, 19:11.5; 3. Braedon Methvin, E.D. White, 19:12.6; 4. Luke Harris, Caddo Magnet, 19:12.7; 5. Ethan Vogel, Belle Chasse; 19:30.6; 6. Adam Callegan, St. Michael, 19:34.4; 7. Cameron Kelly, Teurlings Catholic, 19:40.1; 8. Kyle Andrews, Belle Chasse, 19:42.4; 9. Brady Palmer, Belle Chasse, 19:55.7; 10. Triston Duvall, West Ouachita, 20:06.2. Individual Top 10: 1. Isabelle Brown, St. Joseph’s Academy, 21:22.0; 2. Rosalie Michot, Lafayette, 21:32.1; 3. Lauren Hendry, St. Joseph’s, 21:50.5; 4. Sophie Martin, St. Joseph’s 22:10.9; 5. Marina Givens, Ruston, 22:21.7; 6. Anna Eagleton, St. Joseph’s; 22:58.9; 7. Ashlyn Anderson, Fontainebleau, 23:02.4; 8. Kelsey Major, Dominican, 23:06.5; 9. Virginia Dirks, St. Joseph’s Academy, 23:07.6; 10. Hope Shales, Mt. Carmel, 23:10.5. Team results: 1. St. Joseph’s 23; 2. Mandeville 83; 3. Fontainebleau 114; 4. Dominican 118; 5. Mt. Carmel 130; 6. Lafayette 218; 7. Parkway 244; 8. Live Oak 277; 9. Ponchatoula 300; 10. Zachary 312; 11. Ruston 312; 12. Barbe 381; 13. Byrd 384; 14. Dutchtown 393; 15. Chapelle 393; 16. West Monroe 426; 17. Hahnville 493; 18. Walker 499; 19. Captain Shreve 515; 20. John Curtis 584; 21. Ouachita Parish 588; 22. Central Lafourche 615; 23. John Ehret 640; 24. Destrehan 663. Individual Top 10: 1. Hunter Appleton, Brother Martin, 17:59.4; 2. James Lalonde, Catholic Baton Rouge, 18:05.2; 3. Allen England, Byrd, 18:11.5; 4. Patrick Elliot, St. Paul’s 18:12.6; 5. Octavio, Vasquez-Tilley, Ruston, 18:28.0; 6. Justin Unger, John Curtis, 18:29.3; 7. Luke Sweatman, Thibodaux, 18:34.6; 8. Cade Martin, Holy Cross, 18:42.5; 9. Austin Mikovich, Byrd, 18:44.9; 10. Christopher Cuntz, Catholic, Baton Rouge, 18:46.8.